HCBS programs across the nation are facing new challenges such as reduced budgets and a growing demand for services. Is your team in the same boat? From August 27-30, over 1,300 top health industry professionals will convene at the 2018 National Home and Community Based Services (HCBS) Conference held at the Baltimore Marriott Waterfront. Attendees will learn about innovations in home and community-based programs, listen to technology experts and network with Federal government professionals. 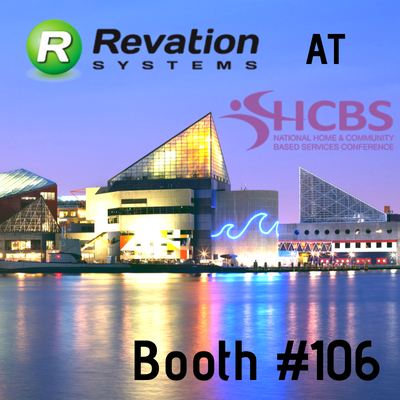 While you’re there, come by and visit the Revation team at Booth #106. We’d love to hear about the challenges your team is facing and share how we can assist your community with innovative access, options and support to meet your current and future needs! Be sure to have your business card scanned by a member of our booth staff for a chance to win a new Apple Watch Series 3 or a $350 donation to a non-profit of your choice. We look forward to meeting you in Baltimore!